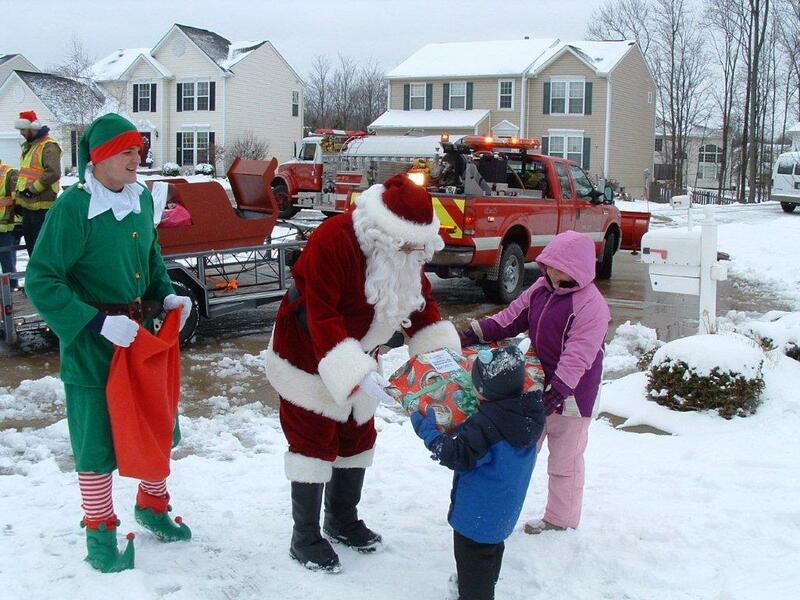 The Lafayette Township Firefighter’s Association is a group of individuals with the sole purpose of supporting the Lafayette Township Fire Department. The current association is the combination of the Chippewa Lake Firemen’s Association and the Lafayette Township Volunteer Fire & Rescue Association. When the departments combined in 2000, it was voted by the respective associations to also combine efforts, equipment, and funds. It was decided to keep the Lafayette Township Volunteer Fire & Rescue Association as the name. Through fundraisers, the Association is able to provide the department with much of its equipment and day-to-day supplies. The Association was responsible for purchasing our first paging alert system and walkie-talkies, as they where once called. The Association also was responsible for much of the work and additions done to the stations over the years. In recent years we have purchased voice amplifiers for the entire department that work with our self-contained breathing equipment (SCBA’s). A thermal imager was purchased for one of the engines to assist department member when conducting search and rescue during a fire. We also recently purchased a 4-gas detector. This allows department members to test air quality to insure it is safe to remove our SCBA’s after a fire or to check someone’s home for CO2 if their Carbon Monoxide detector to going off. We have also contributed to the upgrade and installation of the department computer system. Over the years the associations have conducted many different fundraisers, many of which became tradition not only within the township but also through out the county. On February 19, 1978 the Chippewa Lake Firemen’s Association held their first pancake breakfast. In 1979 it was then decided to have a breakfast every Sunday during the month of February. This tradition is still very much still alive today. 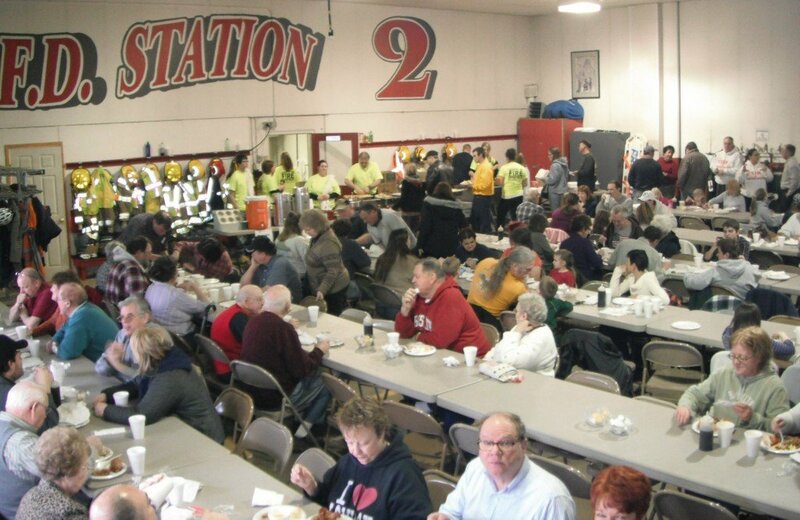 Even with the sometime serve weather that we experience during the month of February the community never fails to out do themselves every year in showing up and supporting the Association. In 1973 the Lafayette Township Fire Department was in need of a grass fire unit and the Lafayette Township Volunteer Fire & Rescue Association decided to have some fundraisers to raise the money needed. After debating between a beef stew dinner and a buffalo roast, the buffalo roast won. The first Buffalo Roast was held October 14, 1973. This event became a countywide tradition, every year during the county’s Fall Foliage Tour, the Association served up buffalo and all the extras. Do to the high demand, it was decided to set-up a burger stand under the grandstands every year at the County Fair. After almost 30 years and do greatly to the higher cost of the meat with diminishing profits, we no longer have the burger stand, or conduct the Roast at the Lafayette Station on Wedgewood Rd., we still have people stop by that weekend and ask about it. None of these early events would’ve ever have been possible without the assistance and continued support of the Ladies Auxiliary, the Firebells. While we currently do not have a Ladies Auxiliary, we will never forget the endless hours and sacrifices they made in the past to help us get to where we are today. We would like to give all who have donated, helped out, or contributed to our organization in anyway a huge Thank You!! You are the reason we do, what we do! Please check the website often as we will be posting upcoming event and fundraisers. If you have any question or comments, please be sure to visit our Facebook page (www.facebook.com/lafayettetwpfd). You can also sign-up to be on our Newsletter mailing list by entering your name and e-mail address on the Fire Line page. You will receive e-mails of all upcoming events and special news.